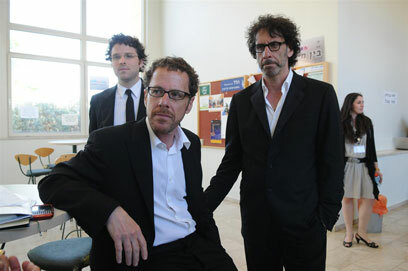 Tel Aviv University awarded Oscar-winning filmmaker brothers Joel and Ethan Coen a $1-million prize on Sunday, as the duo made their first visit to a country their mother had long urged them to see. In remarks before receiving the Dan David Prize, an annual award given to outstanding scientists and artists, Joel Coen told a reporter their mother had lived in British Mandate Palestine before Israel's establishment in 1948. "Our mother tried to get us to come here for many, many years," the elder of the siblings said. "But you know, life intervenes. We've been very busy." Pressed about whether Israel had piqued their interest enough to set their next film there, the Coens demurred, saying their creativity thrived best on culturally familiar territory. "We're real ignoramuses about Israel," said Joel Coen, who grew up in the US Midwest. The duo rejected calls for boycotts of the Jewish state by some artists as a protest against settlement-building on land Palestinians want for a state. "It's people responding to real problems in a way that they think is appropriate. We obviously don't share that opinion of how to deal with those problems," Ethan Coen said. The Coens won four Oscars for their 2007 blockbuster "No Country for Old Men" and two for "Fargo", made in 1996, and have garnered award nominations for other films including "A Serious Man" and "The Big Lebowski". The university praised what it called the Coens' "original and creative partnership, unique in the history of filmmaking". See all talkbacks "Coens: We're ignoramuses about Israel"